After Demonetization In India, Almost Every Smartphone User Use E-Wallet Apps Like PayTM, PhonePe, Jio Money Etc. Along With These E-Wallet Apps, Many People Prefer Online Payments To Pay Bills, Ordering Food Online. Today We Are Sharing Top Best Food Ordering Apps For Android In India. Using These Apps, You Will Be Able To Order Food Online From Your Favorite Hotel Or Restaurant. However, Some Of These Apps Provide Online Food Ordering Service In Few Cities Only. FreshMenu Is One Of The Best Food Ordering App. You Can Order Your Favorite Dishes Online And Get The Delivery In Short Time. You Don’t Need To Leave Your House, Simply Tap The Button. With Daily Changing Menu – You Will Get Rid Of Those Repeated Dishes. Order – Indian, Chinese, Italian, Mexican, And More Dishes. Track Your Placed Order, The App Claims Delivery Of Food In Less Than 45 Minutes. You Can Filter Dishes With Budget, Availability. You Will Be Able To Schedule – Pick A Future Time To Get Delivery. Payment Options – PayTM, Net Banking, Cash On Delivery. 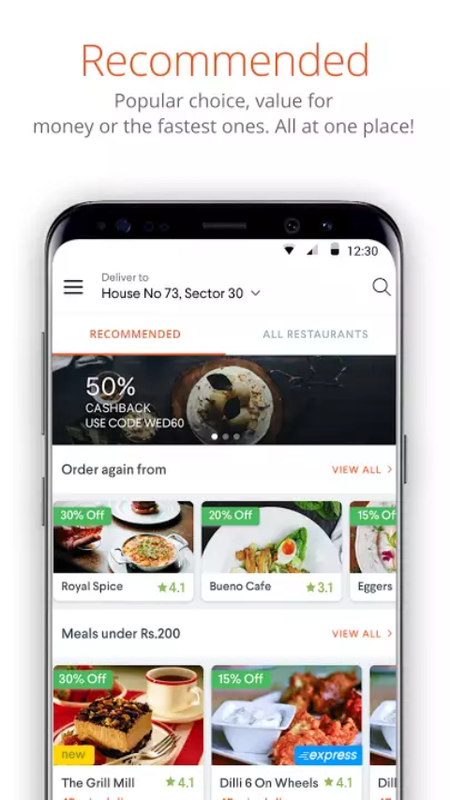 Currently This App Providing Online Food Ordering Services In – Mumbai, New Delhi, Gurgaon, And Bengaluru. Download: Here. 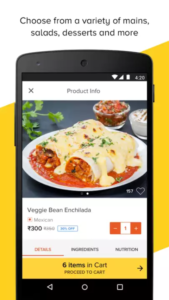 It Is Another India’s Best Online Food Ordering App. 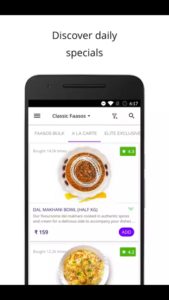 With FAASOS App You Can Order Many Types Of Dishes. New Menu Updates Every Day. After The Order Placed, Users Can Track The Time Of Delivery. If You Are Near A Delivery Center, You May Get Your Order In Just 10 Minutes. You Can Customize Your Order i.e. Same Order For 2. Pay The Amount With E-Wallets, Netbanking Or Pay Later/Cash On Delivery. Download: Here. 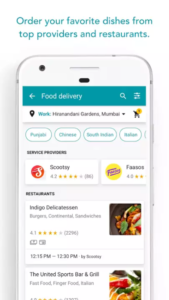 Areo App Is Developed By Google And Offers Many Kind Of Services Like Food Delivery, Home Services. 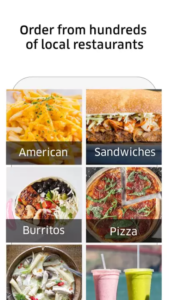 You Can Order Food Online Of Your Favorite Restaurant With Areo App. Areo Allows You To Filter By Restaurants, Cuisine Types And More. Ordering Food With Areo Is Quite Easy, Simply Tap On Food Delivery Section. Search For Food i.e. Paneer Tikka, Choose Restaurant, Read Reviews, Place Order. Pay With Card, Netbanking Or Cash On Delivery. 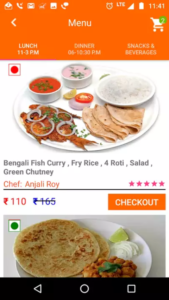 Along With Food Delivery, You Can Also Enjoy Other Services Of This App. Available In -Bengaluru, Mumbai. Download: Here. It Is One Of The Highest Rated Food Ordering App On Google Play Store, With 10 Million Downloads And 4.2 Rating. Service Of This App Can Be Enjoy In – New Delhi Only. UberEats Provides You A Great Food Delivery Service – Fast And Reliable. You Can Order Your Favorite Meals Like Burger, Drinks. Order From Hundreds Of Local Restaurants, Track Your Order On Map. You Can Pay For Your Order With Uber Account. Download: Here. Facebook App Now Has Built-In Food Ordering Feature Which Lets Users To Place Order Of Food Online. You Go To Facebook App Menu. Scroll Down And Search For Order Food Option. If Not There, Tap On More Option And Check. Once Found, Start Your Order – Choose Nearer Restaurant, Enter Delivery Address, And Check Out. After Confirmation, You Will Receive A Mail. You Will Get Your Order In Short Time. However, There Are Many Facebook Pages Which Offer This Service i.e. Momagoto. You Can Place Order Directly From There. 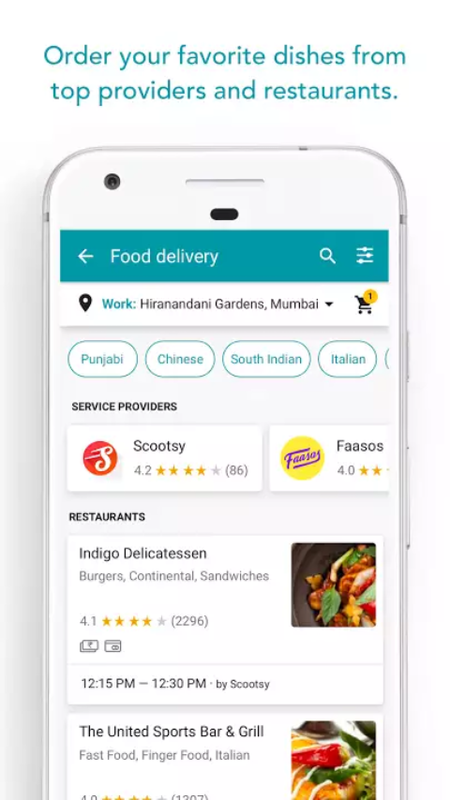 Swiggy Is Another Best Popular Food Ordering App, Over 5 Million Downloads And With 4.2 Rating On Google Play Store. You Can Order Food From A Range Of Local Resturants Near You Like Dominos, KFC, Pizza Hut, McDonald’s, Cafe Coffee Day, Taco Bell, Faasos, And More. Many Types Of Cuisine Are Available As Well As Restaurants. Pizza, Burger, Desserts, Choose From North To South India And Italian To Chines. Get Fast Delivery Of Your Order, Track Your Order Live. Easy To Search And Place Order Features, Pay With PayTM, Mobokiwik, Freecharge Wallet, Debit/Credit Card Or Cash On Delivery. Availability – Chennai, Delhi, Gurgaon, Kolkata, Mumbai Or Pune. Download: Here. 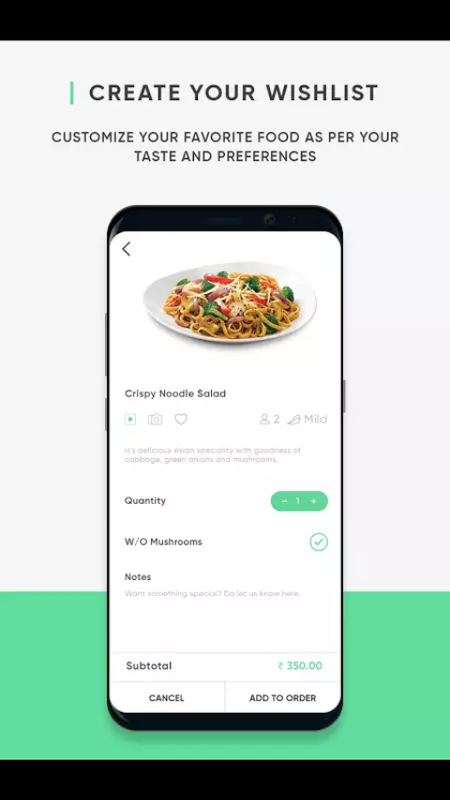 This App Is Quite Popular Food Ordering App In India, With Over 1 Million Downloads And 4/5 Rating On Google Play Store. 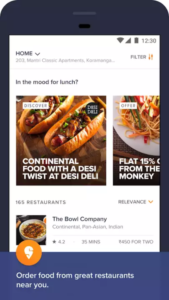 Zomato Provides Over 25,000 Restaurants Service With App, Discount From Restaurants. Almost All Of Your Favorite Food Restaurants Services Online i.e. KFC, Burger King, FreshMenu, Taco Bell, Pizza Hut, Domino’s Pizza, Dunkin’s Donuts, Subway, And More. Order From Variety Of Dishes. Track Your Order Live. More Services – Late Night Delivery, Multiple Payments Option Like Mobile Wallets, Debit/Credit Card, And A Great Discount. Download: Here. Foodpanda Is Another Popular App That Provides A Great Food Ordering Services To Users. 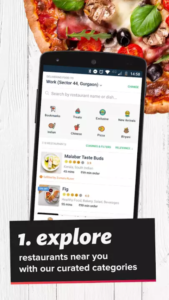 Foodpanda Works With Over 15,000 Restaurants i.e. Domino’s Pizza, Pizza Hut, KFC, McDonald’s, And More. Order From A Variety Of Cuisines Like North Indian, South Indian, Mexican, Chinese, Thai, Japanese And Much More. It Is Easy To Order Food With Foodpanda App, Track Order Live, Save Money With Exclusive Deals, 45 Minutes Delivery Time. Availability – Delhi, Hyderabad, Chennai, Pune, Mumbai, Kolkata, And 100 Other Cities. Download: Here. It Is Quite Different From Other Apps. You Will Not Get The Delivery To Your Home. 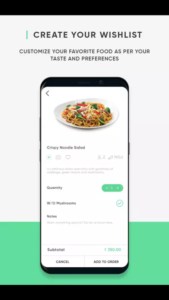 This App Only Helps Users To Place An Order When They Are In Restaurant. You Don’t Need To Call Waiter. Open The App, Press On I’m In Restaurant And Select Dining Option. Choose From Menu, Place Order, Pay Online Or Cash, And Rate The Served Dishes. Placing An Order Is Too Easy. You Will Get Exciting Deals Also. Availability In Cinemas, Food Courts, And Restaurants – Mumbai Pune, Hyderabad, Jaipur, And More. Download: Here. It Is A New App, May Useful For You. You Have To Create An Account To Use This App, Choose From Several Dishes. There Are Three Sections With Separate Dishes – Lunch, Dinner, Snacks. 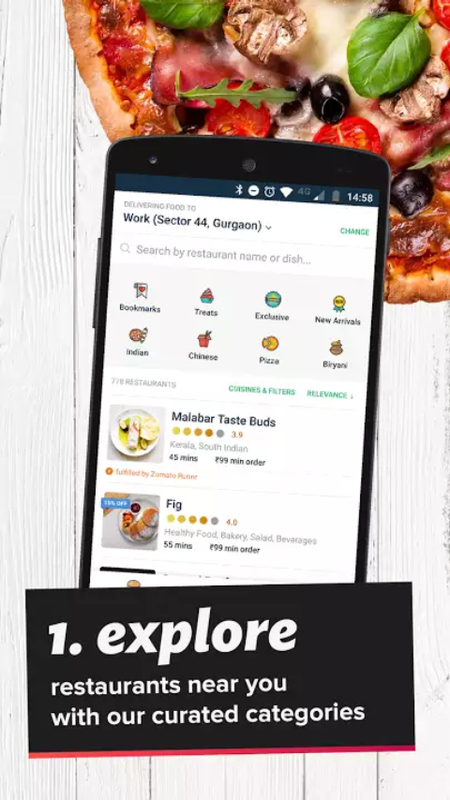 This App Is Currently Providing Online Food Order Service In – IP Extension, Surajmal Vihar, Trilok Puri, Yozna Vihar, Geeta Colony, Rajgarh Colony, Anand Vihar, Shakarpur, And More You Can Find In The Description Of The App In Google Play Store. Download: Here. If You Have Any Suggestions On Food Ordering App Then Please Submit Here. Like Us On Facebook – MrGuider, Follow Us On Twitter – @techhuntr, Subscribe Us.